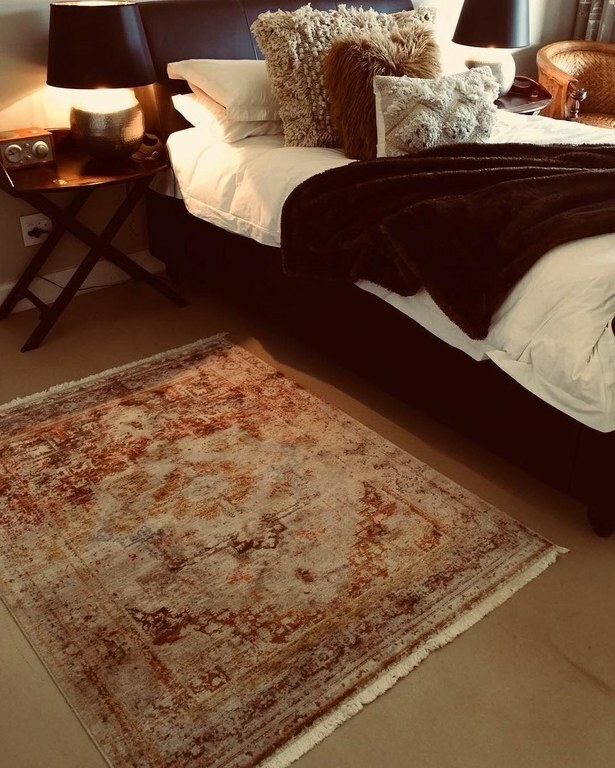 Oversized carpets: a big trend at the moment is to place an oversized carpet in the bedroom with either all the furniture on top or half the bed on top. Both of these are perfectly fine options and it creates a wonderful romantic ambience in the bedroom. The size that would generally work in this setting is a 400x300 carpet or larger. 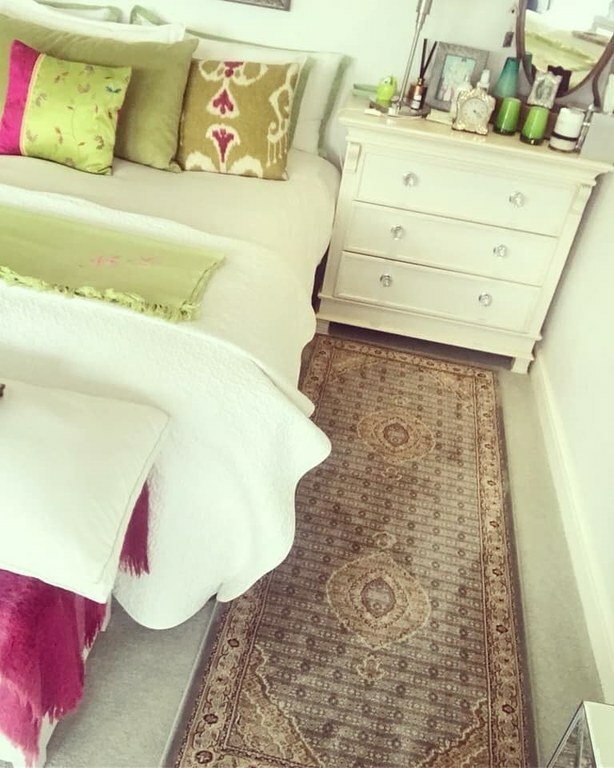 Bedside carpets: an age old favourite is to have two bedside carpets on both sides of the bed and either a runner or larger carpet at the foot. The bedside sizes that can be used are 150x100 or 200x80 (even 200x100) runners. 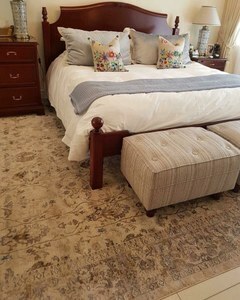 Sizes in front of the bed can range from 180x120, 250x150 or 300x200 if the room allows for a larger carpet. 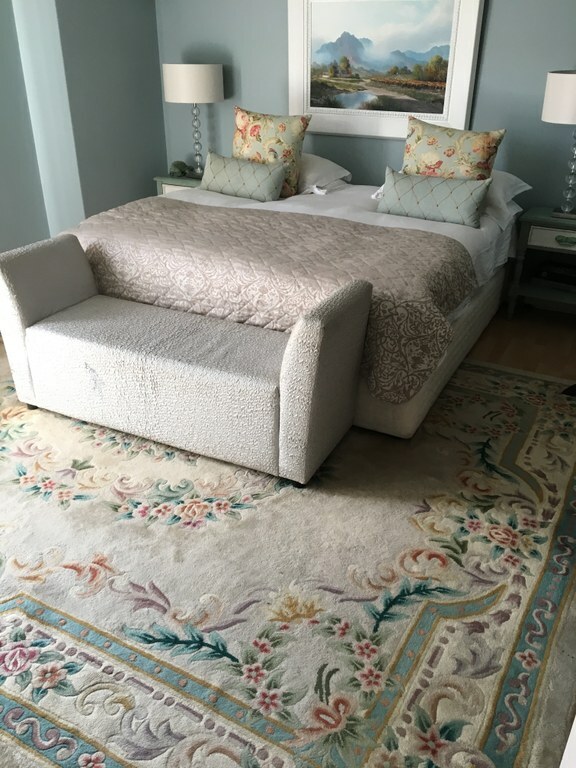 Another option is to place a runner at the foot of the bed that can range from 200x80 to 300x80 or longer depending on the look you want to create.